The UK’s new car market shrank by 15.7% year-on-year last month, making March the twelfth consecutive month of falling car registrations. To put this into context, March 2017 was a record month for new car numbers ahead of changes to VED rates, and a decline in 2018 had always been expected, although not by this much. Even compared to March 2016, last month was down 9%. 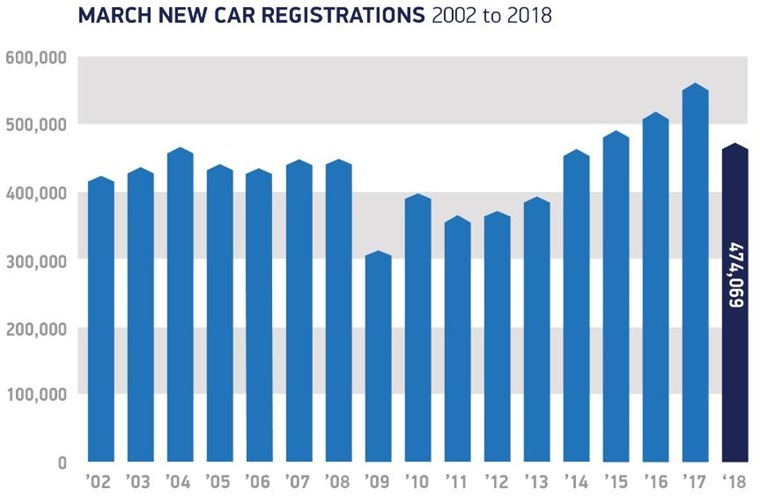 Despite the sizeable fall, March 2018 is still the fourth biggest on record for new car numbers. 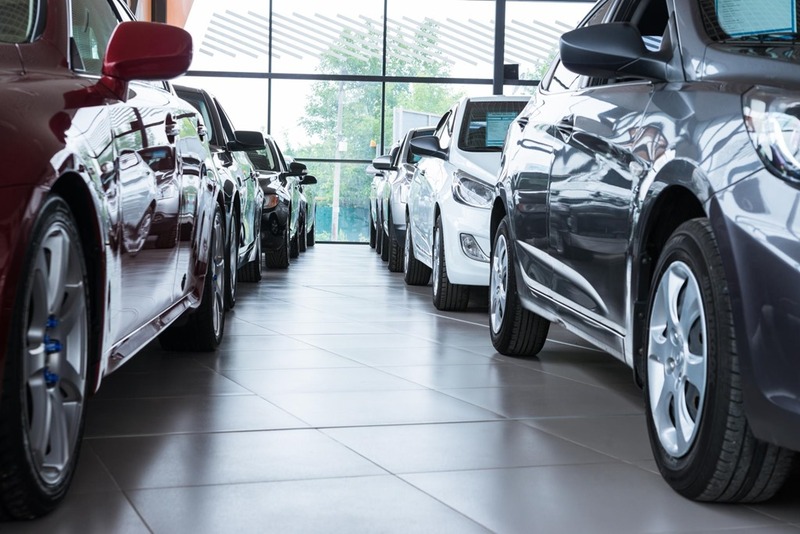 Figures from the Society of Motor Manufacturers and Traders (SMMT) revealed 474,069 new cars hit the road last month, compared to 562,337 in 2017. 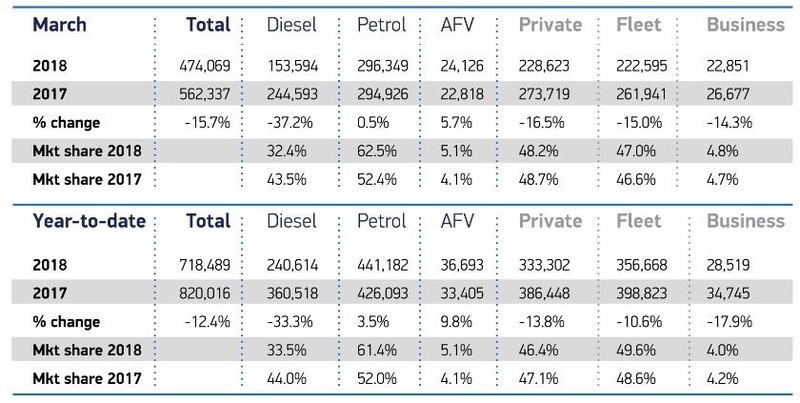 Overall, demand for petrol and alternatively fuelled vehicles (AFVs) rose 1% and 5.7% respectively in March, but they failed to offset a massive 37.2% fall in diesel, which now accounts for 32.4% of the market. Industry expert Christopher McGowan commented: “The industry knew that this year was going to be down between 5-8% but if it was to continue at 15% that would be very, very serious indeed. Demand from business, fleet and private buyers all fell in March, down -14.3%, -15.0% and -16.5% respectively. Are things as bleak as they look? 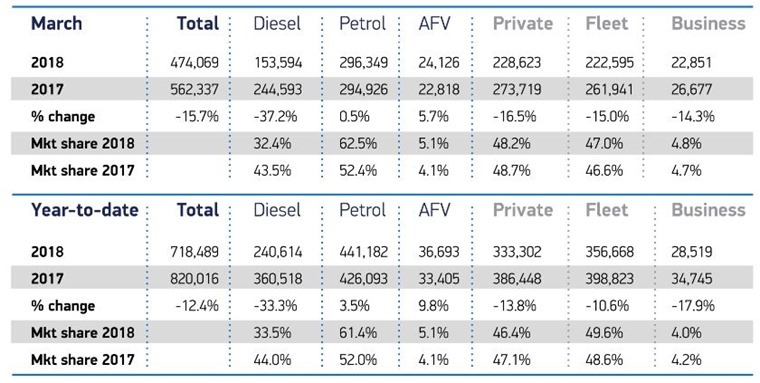 With higher first-year VED rates for diesels now applicable, diesel numbers are likely to continue to drop, but is the news really that bad? 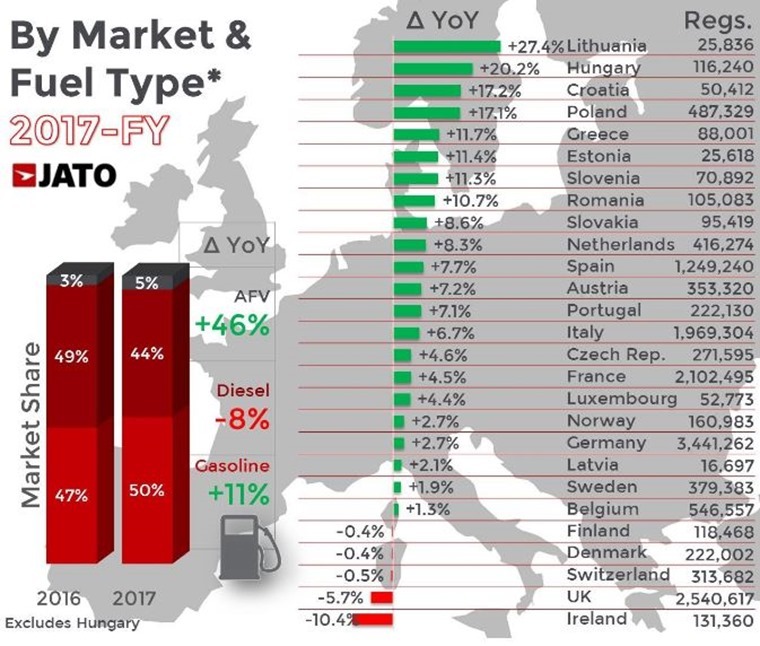 Although the UK is expected to be the worst-performing new car market in Europe in 2018, it remains the second largest and demand is still surprisingly high. Mike Hawes, SMMT chief executive said: “March’s decline is not unexpected given the huge surge in registrations in the same month last year. Despite this, the market itself is relatively high with the underlying factors in terms of consumer choice, finance availability and cost of ownership all highly competitive. 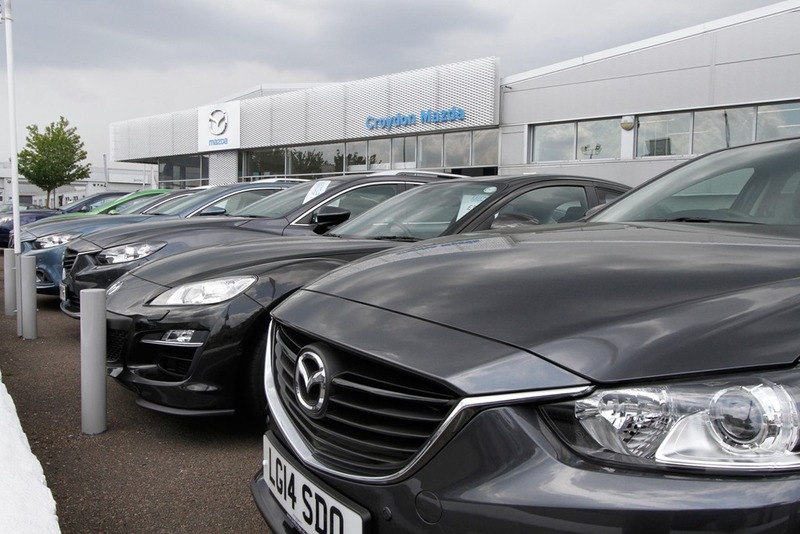 Looking ahead, the SMMT expects that registrations will continue to fall this year, with the latest forecasts predicting the fall will be between 5% and 7% by the end of 2018. There are few surprises when it comes to the UK’s most popular cars so far this year, with the Ford Fiesta, Volkswagen Golf and Nissan Qashqai taking first, second and third place both in March and in the year to date. Also a feature on both lists are the Mercedes A- and C-Class, demonstrating demand for premium models continues. But how does the UK’s top ten most popular cars compare to the most popular to lease? Find out here.